Highly durable, vapour-permeable façade render with silicon adhesive and innovative functional filler providing extremely fast water and air humidity dispersion from the façade surface. Available in scraped structure 1,5K, 2K, 3K, grooved 2R, 3R and soft structure 1K suitable for casings, jambs, small surfaces, and façade detail. 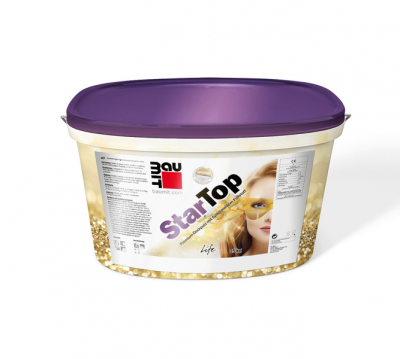 If you’re longing for an absolutely gleaming façade, reach for StarTop render in Life 0019 shade. Special ingredients and pigments ensure whiter shades.